Products of the Open Golf Club Boutique are sold by SARL GOLF TOURISME DEVELOPPEMENT (GTD) with a capital of 380 000€ headquartered 4 rue Lamennais - 75008 Paris – RCS Paris 504 690 041. GTD leads and operates the chain known under the trademark Open Golf Club, owned by COFIGOLF, with which GTD has an exclusivity agreement for its business. Any order taking on the Open Golf Club Boutique implies the acceptance of the herby selling terms and conditions. Consequently, the client acknowledges being informed that his acceptance of the selling terms and conditions does not require his handwritten signature, since the client wishes to order the aforementioned products online. The client has the possibility to save or print herby selling terms and conditions, given that saving as printing of this document implies his responsibility since the hereby conditions can be modified. In this case, selling terms and conditions in effect at the date of order, on the website http://boutique.opengolfclub.com/ will apply. Prices indicated are in Euros, including taxes. They do not include posting and handling fees, charged in supplement and indicated before final validation of order. The total price of the order – including posting and handling fees – must be paid online when ordering. Any other kind of delivery is possible on demand to Open Golf Club’s customer service. For delivery outside the EEC or for more than 12 products, please contact Open Golf Club’s customer service for a specific quote. Open Golf Club will not, in any case, be held responsible for vagaries of delivery due to disturbances or malfunctioning of postal services. Open Golf Club cannot be held responsible in any way in case of damage or loss after carried out delivery to the client. According to the terms of article L 121-20 of French “code de consommation”, you may return products purchased from Open Golf Club’s online Boutique, without any penalty within 7 clear days after order of the products purchased on http://boutique.opengolfclub.com/. Delivery charges are on you. To cancel your contract with Open Golf Club, we invite you to send an e-mail to our customer service, with the order number, description of the products you wish to return and the reason for this return. Once the return concluded between Open Golf Club and you, we invite you to return us to your expenses, the goods concerned, in its packing of origin. For all further information, you can always contact our customer service. In this case, the sums will be refunded to you within 30 days. If within the 7 clear days delay, you have not used your right of renunciation, as specified, you will not be refunded for the already versed sums to Open Golf Club, regardless of unfavorable weather conditions or if product’s validity has expired. Open Golf Club products can be neither partially nor entirely traded for cash. The Golf Pass enables the beneficiary to play a selection of top golf courses in a chosen destination among those proposed. Except special offer or mention, each golf pass enables its beneficiary to play three 18 holes green fees. Green fees shall be played by one and only person (the beneficiary) on a minimum of 3 different courses. Date restrictions or supplements may apply according to courses and destinations. It does not imply any priority on the tee times and cannot be considered as a reservation. Reservation is mandatory to be able to play a golf course. A minimum handicap can be required in some golf courses and proof of level can be asked. A voucher, corresponding to the green fee, must be presented to golf welcome desk before tee time. Players must know and respect etiquette of golf course. Its non respect can lead to exclusion of the golf course without refund. Open Golf Club disclaims all responsibility in case of impossibility to access a golf course at the requested period. Open Golf Club Gift Certificates are valid for Open Golf Club’s products and services: green fees, golf passes or golf holidays including lodging. It is valid for a period of 12 months from the purchase date. Some golf courses or hotels may limit or refuse access with Gift Vouchers. Beneficiaries must book services of their choice through Open Golf Club’s Customer Service. They cannot directly contact the golf courses or hotels of the chain, which have no capacity to accept theses Gift Vouchers in return for products or services. Open Golf Club Gift Certificates cannot, in any case, be cashed on a bank account and cannot lead to any money compensation whatsoever, neither partially, nor entirely (including money return). It can be neither replaced, nor refunded in case of loss, damage, and destruction or after expiry date, neither exchanged, nor sold. Gift Certificates can be added for a purchase. Indeed, if your case includes several Gift Certificates, the total amount of your Gift equals the sum of Gift Certificates. In case the value of Gift Certificate is more important than the purchase, or in case validity has expired, the balance will be lost. Open Golf Club Gift Certificate is valid until expiry date mentioned at the front of Gift Certificates. Participating golf courses, hotels and resorts cannot be forced to accept Gift Certificates for purchases such as food, sold off items or special offers. Several Gift Certificates can be used for payment of a service. It is possible to balance total amount by any means (credit card, cash, check) if Gift Certificate value is lower than total amount. 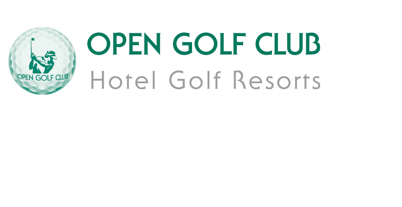 Or post: Open Golf Club – Customer Service – 4 rue Lamennais, 75008 Paris, FRANCE. Or telephone: +33 (1) 45 63 37 18 from 9.00am to 6.00pm, Mondays to Fridays. Buyer hereby agrees that any data in relation with the business relationship between Buyer and Seller may be processed by Seller, in compliance with applicable laws and regulations. All content on the Site, including text, still and animated images, databases, etc., is the exclusive property of and is protected by international copyright and other intellectual property laws. All rights not expressly granted are reserved. This Site was created in France. By using this Site, you agree to these terms and conditions without prejudice to any contractual or tort actions may take. Any litigation related to interpretation or performance of the contractual terms defined in this document shall be submitted to the exclusive jurisdiction of the French tribunals applying French law.